The Scientific Revolution changed the way people thought about the physical world around them. 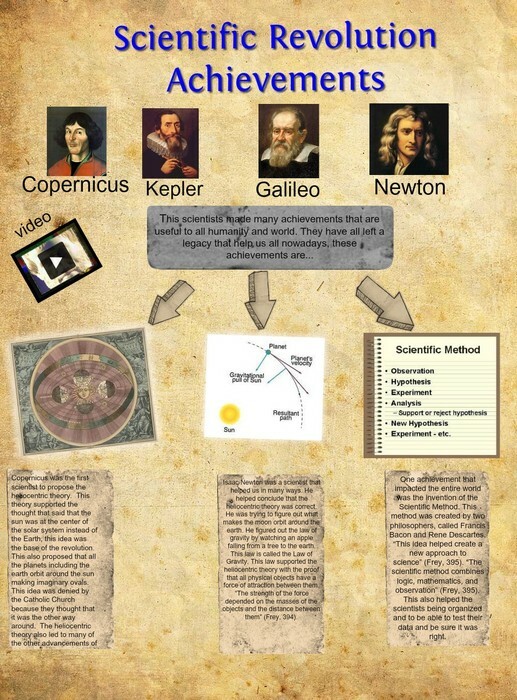 The basis for the Scientific Revolution was the Scientific Method. 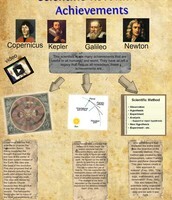 The scientific method uses observation and experimentation to explain theories on the workings of the universe. Nicolaus Copernicus developed the heliocentric model of the universe. Many people disagreed and continued to believe in the Geocentric Model: Theory of the universe that states the earth is the center, and that the sun revolves around it. Inductive reasoning has its place in the scientific method. Scientists use it to form hypotheses and theories. 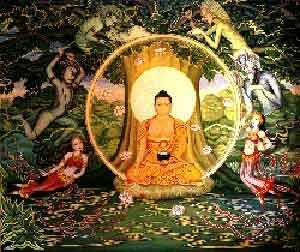 The philosophy is simply to apply the Scientific Method to Newton’s Universal Law of Gravitation. 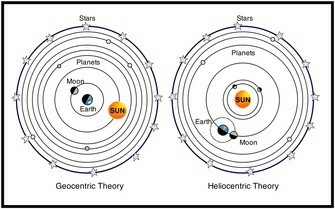 Geocentric Theory on the left, Heliocentric Theory on right.